It was the concealer that I was most interested in, if I'm honest, but CVS was having a BOGO-1/2 off sale so I decided to give the foundation a try too -- I believe each item retails for $8 so I got both for about $12. The foundation comes in a squeeze a tube with 1 fl. oz. of product. 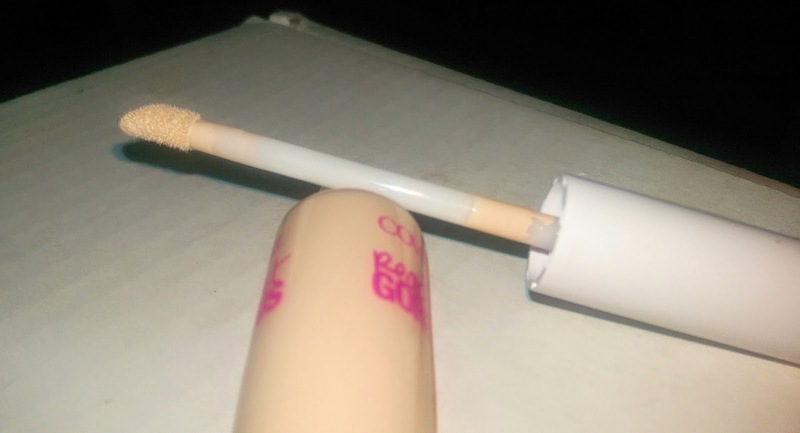 I know all foundations don't lend themselves to this type of container, but I think I prefer squeeze tubes to pumps -- in my experience, it's easier to control the amount of foundation that you get with squeeze tube. 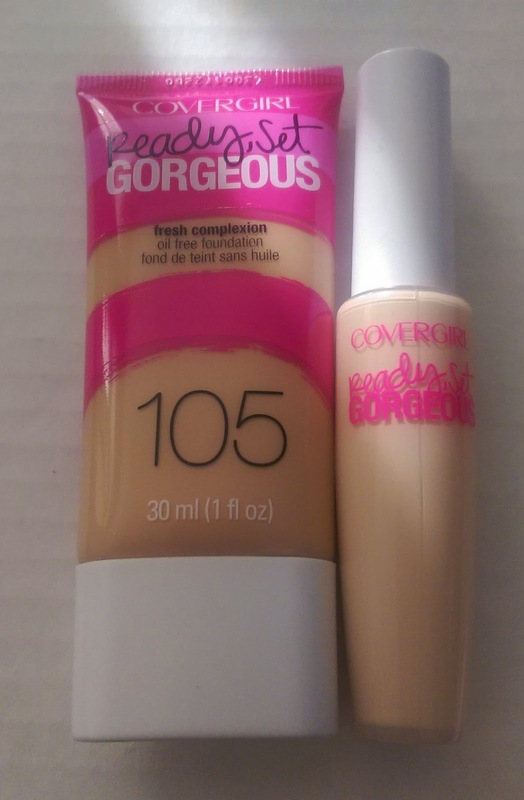 The CoverGirl Ready Set Gorgeous Foundation comes in a convenient squeeze tube. It has a slightly thicker consistency than most liquid foundations, but it's thinner than say, the Tarte Amazonian Clay Full Coverage Foundation or the Rimmel Stay Matte Liquid Mousse Foundation. As a result, I feel like the Ready Set Gorgeous probably works more easily for a variety of skin types -- because while it's probably best for normal to oily skin, I can get away with it on my combo-dry skin. That said, it can accentuate dry patches so if your skin leans toward the drier end of the spectrum, you have to moisturize well before hand. I also find it helps to use a hydrating primer for a little extra slip so the foundation will glide over dry areas. Still, I think I'll like this foundation easier to work with as the weather warms up and my skin gets oilier. I would call the coverage light to medium -- there are usually one or two spots that I need to cover with concealer but the rest of my discolorations are evened out nicely. I don't find that the Ready Set Gorgeous Foundation lasts particularly long -- if I set it with powder, I probably get about six to eight hours of wear before I start to notice fading and patchiness -- so if you're looking for a product that'll last all day, this probably won't do the job. 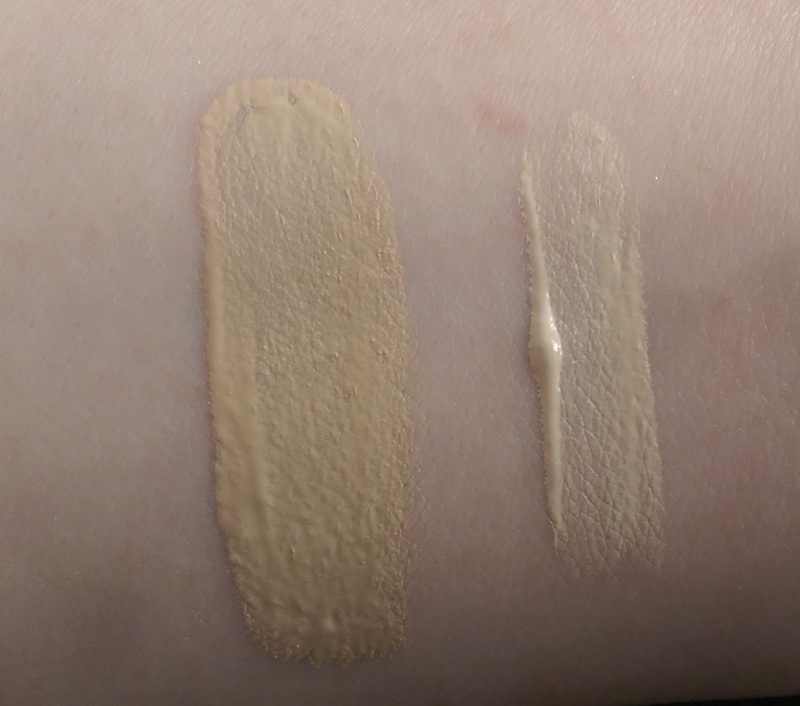 I purchased the foundation in the lightest shade, 105 Classic Ivory, and it's a decent match for my fair skin, though it does have slightly peachy undertones that can make it look a little darker. The Ready Set Gorgeous Concealer comes in a tube with a doe-foot applicator and features a very thin consistency. It's creamy and blends easily, so it works very well under the eyes. It doesn't offer the fullest coverage, though, so if you have serious dark circles or acne marks on your face, a single layer likely won't get the job done -- but it does layer pretty well so it's fairly versatile. If I set it with powder, I find that it lasts just as long as the foundation -- which is pretty good for a concealer in my book. I have it in the lightest shade, Fair, and it's a very good match for my pale skin. So if you've got normal to oily skin, I would definitely recommend the Ready Set Gorgeous Foundation for a nice light, easy option -- and if your skin in on the drier side, this might work as a summer foundation. I recommend the Ready Set Gorgeous Concealer to anyone who wants a nice lightweight concealer to use under the eyes and other minor discolorations around the face. Have you tried any of the products from the CoverGirl Ready Set Gorgeous line? Which is your favorite?